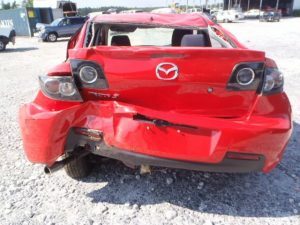 Do you have a Mazda car, truck, van or SUV that is just lying around because it’s damaged or old? Why let it deteriorate, take up space and even become potentially hazardous to you and the environment when you can sell it to Mazda Car Wreckers Adelaide for top cash? We will buy your Mazda, no matter what its condition and pay you top cash for it – up to $9999. Gone are the days when you have to go through the hassle of paying a “tow truck to remove your scrap vehicle”: with Mazda Car Wreckers, it’s you who gets to make top dollar. Car Wreckers Adelaide provide a much-needed and efficient alternative to the dreaded and long-winded car selling process. Everyone knows that selling a car is no easy feat. First, you must get the car ready for the sale. Next, you must advertise it online and keep your fingers crossed, hoping to find a good buyer for it. And lastly, you have to spend days, weeks or even months, meeting up with interested parties, showing your car to them, haggling over the price and having deals fall through in the last minute. No wonder the thought of selling a car alone is enough to stress a car owner. When we buy your Mazda, a free car removal is part of the package. In our mission to offer car sellers the most convenient way to sell their cars, we’ve included free towing to make the car selling experience, even more, enjoyable for our customers. When you sell your car to us, we don’t expect you to come to us. Instead, our experts will come to your location, at a time of your choosing, anywhere in SA, to collect the car. To get an instant cash for cars quote, contact us. You can either give us a call or get in touch with us through our online form. If you like the price that we offer, accept our quote and schedule your free car removal. The final step is to wait for us to arrive at your location to pick up the car and hand over the cash. 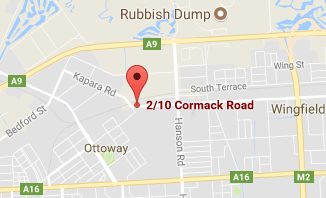 With our many years of experience in the auto industry, we are Adelaide’s most reliable car wreckers. Got a Mazda to sell? Call us at 0477 413 136 or through our online form to get an instant cash for cars offer.